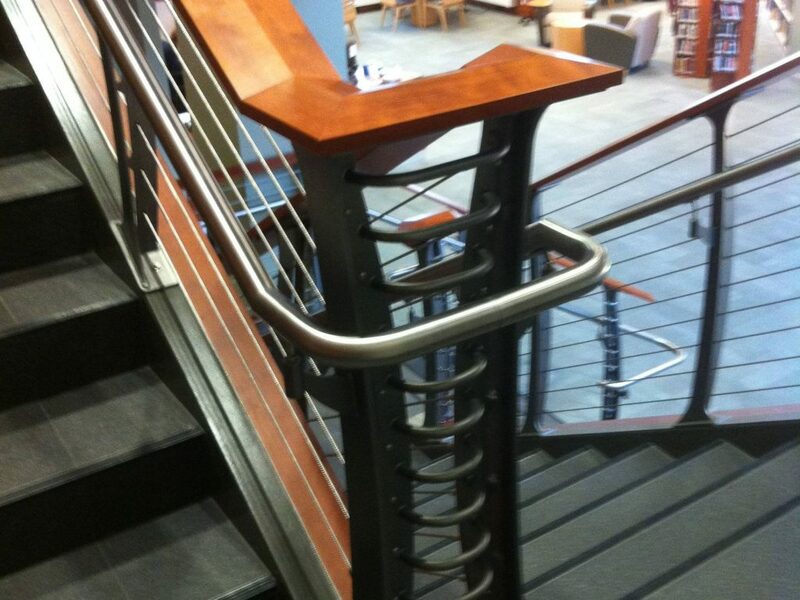 Material and Finish: “Raven Black” powder-coated steel posts with wood top rail and stainless steel graspable railing. 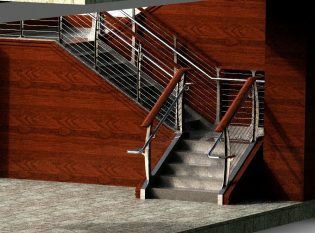 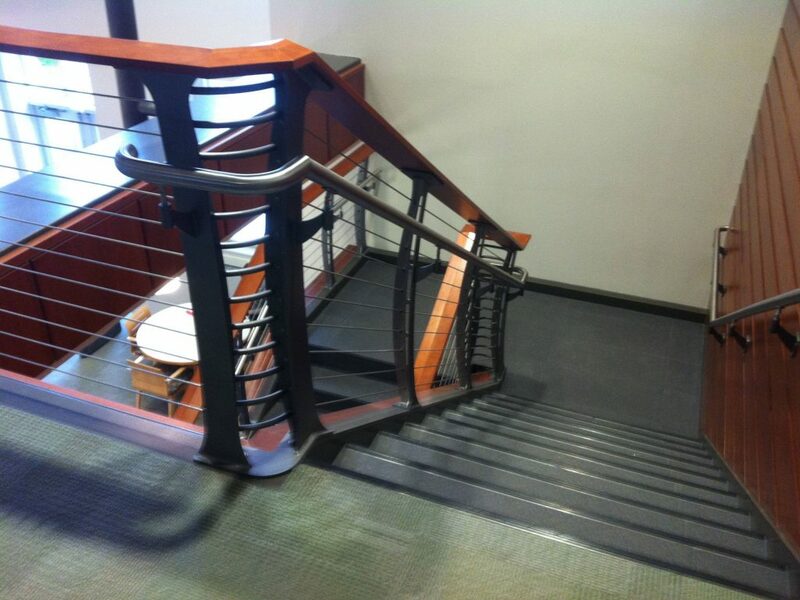 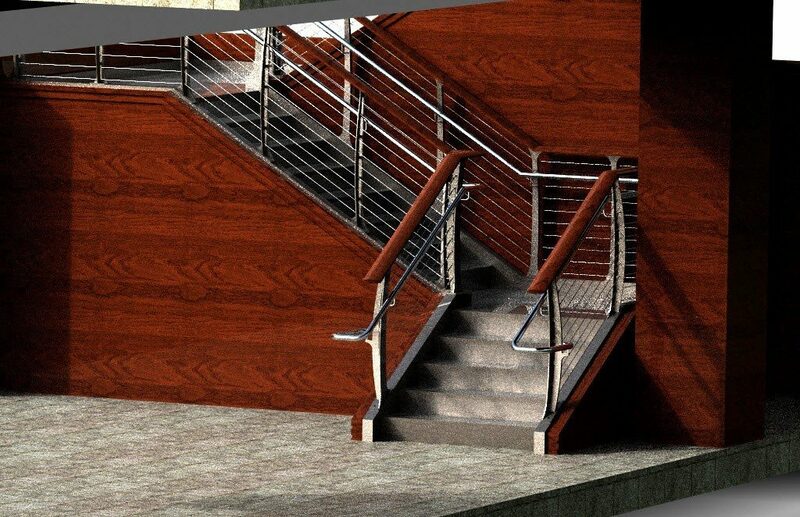 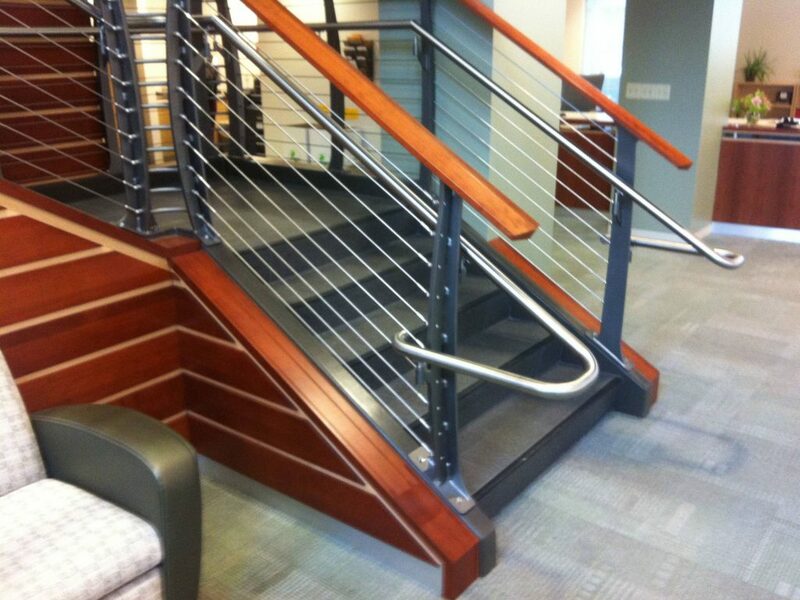 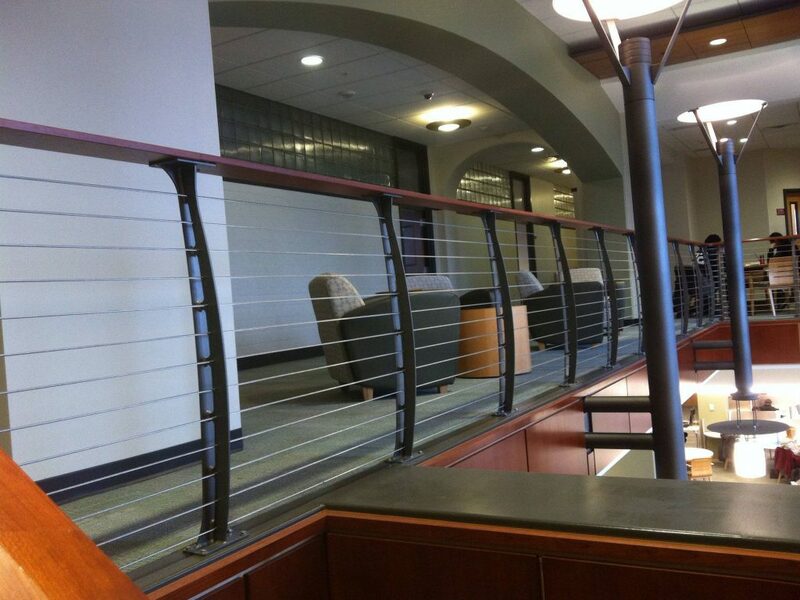 Description: Keuka Style cable railing and graspable hand rails. For this project, we worked with Envision Architects to renovate the library at the Albany College of Pharmacy and Health Services. 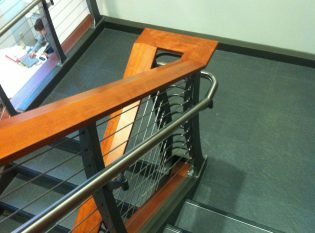 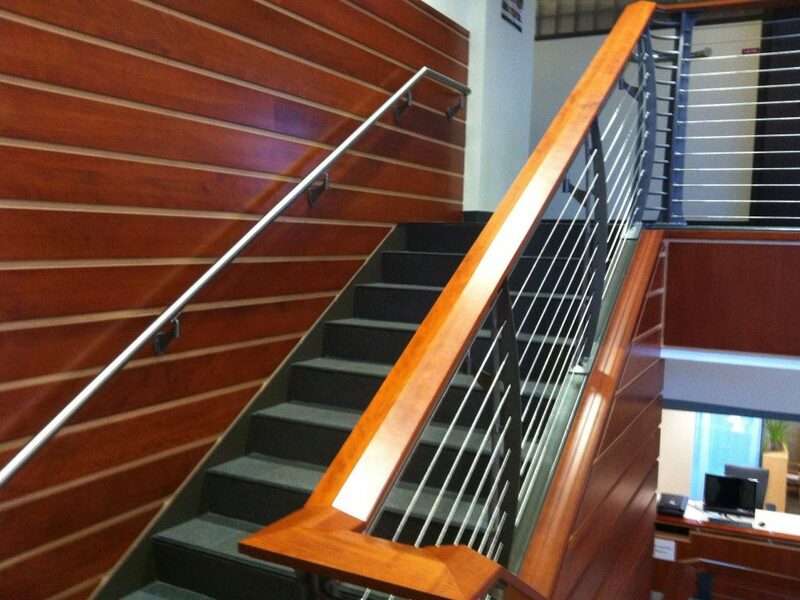 We crafted a Keuka Style cable railing system that runs across a balcony and the building’s three-tier staircase. 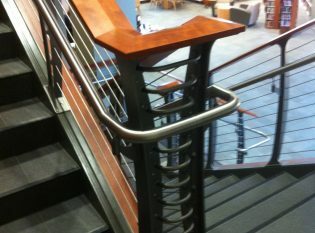 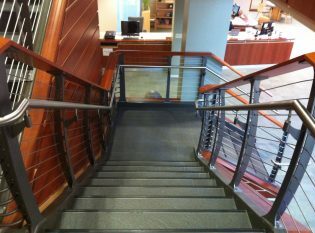 The railing has an ADA compliant graspable handrail made from stainless steel, “Raven Black” powder-coated steel posts, and a wood top rail.